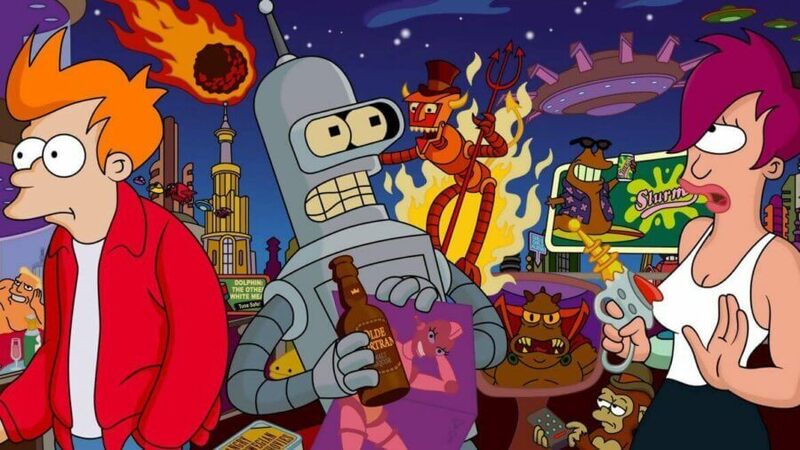 What's on Netflix > Netflix News > Is Futurama Leaving Netflix? Futurama is leaving Netflix slowly in 2017 and 2018 with seasons expiring on different dates. The reason as to why they’re leaving is because the series is owned by FOX who cut ties with Netflix in 2017 in favor of adding their titles to Hulu. The animated sitcom series aired, given sporadically, between 1999 and 2013 and saw 140 episodes across 7 full seasons and many specials. It won countless awards and has been widely considered one of the smartest shows on television. It comes from the mind of Matt Groening who is most known for his other creation, The Simpsons. The Simpsons aren’t currently on Netflix as we explain here. Although we don’t know the specifics, we do know that Netflix and FOX entered into negotiations but both came away unable to make a new agreement for FOX shows. FX shows are also included. We’ve already seen the majority of Futurama seasons leave Netflix in July and the remaining will be pulled over the next 6 months. Seasons 1 to 6 was removed on July 1st, 2017 and was the first of the FOX titles to be removed. As we stated above, the only place you’ll soon be able to stream these titles is on Hulu which makes sense for the series given that FOX owns part of Hulu. It’s ultimately a shame that Netflix is losing these titles but have made significant stride at creating its own animated sitcoms including Bojack Horseman, F is for Family and Pacific Heat. For a full list of FOX titles leaving Netflix and their removal dates check out our FOX guide. This includes other Fox animated titles such as Family Guy, The Cleveland Show, Bob’s Burgers and American Dad! are all subject to removal. Are you disappointed that Netflix isn’t keeping Futurama? Let us know in the comments down below. Next story Is Seasons 1-3 of Fargo on Netflix?